Most of us have heard about the many health benefits of the martial art form, Tai chi chuan or Tai Chi as we commonly refer to it, not just as a mode of self defense, but for good health and a longer life. Tai Chi’s characteristic slow movements also help you live a longer and healthier life. 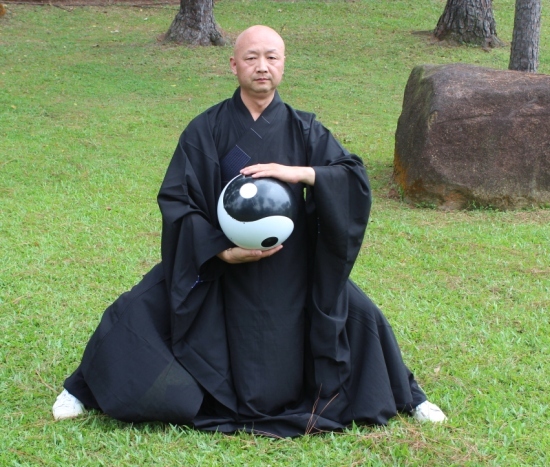 Power coupled with softness comprises this element of Tai Chi and the association of this element is with courage, memory and concentration. Water prevails just by ‘being’, without any ‘doing’. The sense organ connected to this element is hearing or the ears. 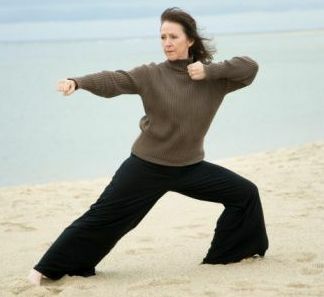 This element in Tai chi for beginners corresponds with strategy & judgment and the determination of the purpose of life. The sense organ connected to this element is visual or the eyes. This element is connected to the mind or consciousness and controls blood circulation. One’s relationship with oneself, a personal sensitivity and distribution of energy are associated with this element. The sense organ connected to this element is taste or the tongue. This element involves the core of the body, the intellect and a proper balance in the body, which enables free flow of the Qi. The sense organ connected to this element is the mouth. This element concerns itself with the exterior, boundaries, the skin, breathing and control of the Qi. The sense organ connected to this element is smell or the nose. 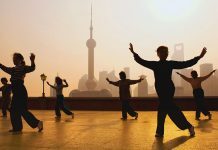 Beginners of Tai Chi should understand that the discipline involves Nei gung and Tui shou which are the response drills in Tai Chi, Sanshou the self defense techniques, Taolu – the forms, the solo hand routines and weapons. Tai chi for beginners may involve as little as 15 minutes a day to get real results in terms of benefits to fitness, better health, and even lowering of stress. Since Tai Chi involves slow movement, this form of fitness will appear very different from others, for beginners. There is no panting, sweating, huffing and puffing here, just the use of precise and controlled movements to create feelings of rest, relaxation and well being. Martial arts have hard and soft styles – the hard styles such as karate are characteristic in that they involve external energy and opposition to force. On the other hand Tai Chi draws from the internal energy of the body, a redirection or re-guiding of force and circular motions. For Tai Chi beginners, the Wu Chi stance – standing with your feet shoulder width apart and knees bent hands to the side and upper body relaxed is the basis for all the different Tai Chi movements. Though the slow movements of Tai Chi and the fact that they are low impact, may appear to be easy, it is still important, particularly when it comes to Tai Chi for beginners to consult a physician before starting on any kind of Tai Chi training.